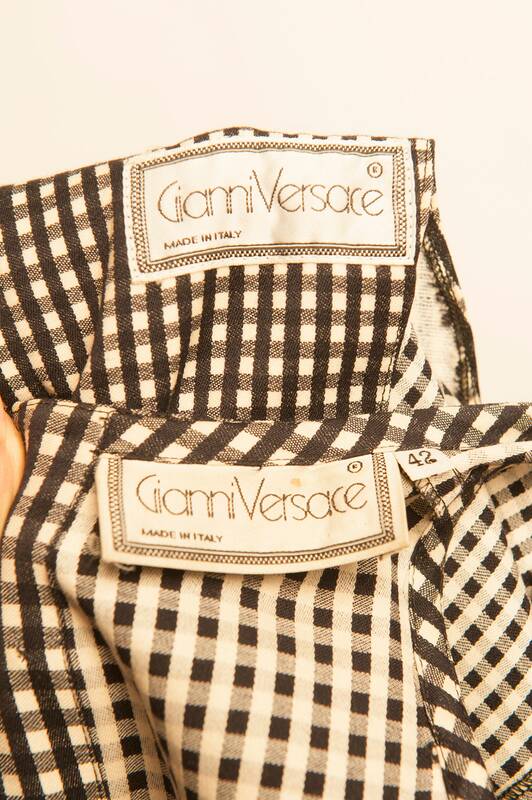 Checked pattern short jacket and no sleeves dress ensemble by Gianni Versace from 1980's. Simple short jacket (closure with a button on the front). No sleeves pencil skirt dress (closure with buttons on the back).